So as it is now spring and the weather has started getting warmer I have started making hats. Which is obviously the most sensible thing to do. Some times I just need something to do to keep my hands busy and a hat is a good way to do that. First off I started out trying the divine pattern again with a dk yarn which was much much better than last time and crocheted up in no time at all. Certainly compared to last time. 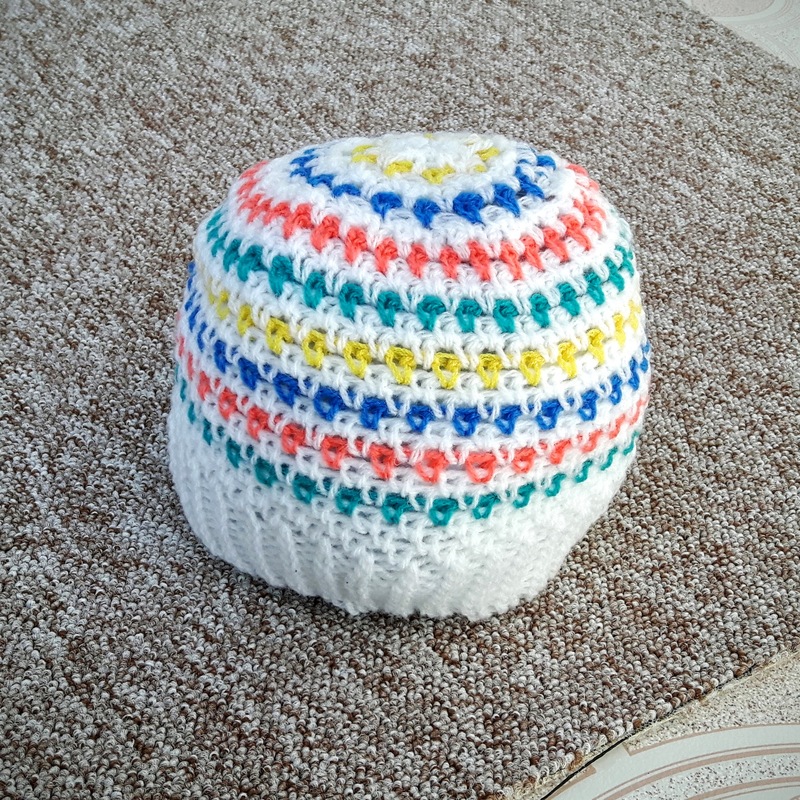 I then looked at patterns for other crochet hats as I find them so much quicker to finish than knit ones. I found a design for a moss stitch beanie. Which came in the form of a video in German but thankfully I know enough to be able to follow some of the talking and the video helped with rest. I love the stitch pattern on this one especially with the variegated yarn. I then knitted up the divine pattern again this time in a lovely merino wool. I am definitely keeping this one for myself it’s so squishy. I tried the moss stitch pattern again another two times changing out the rib at the bottom for a slip stitch rib. Making hats as it comes in to the warmer seasons is not quite as mad as it sounds. I have been thinking about a way to keep my hands busy and do something good at the same time, I am thinking about the possibility of making up hats when on ship and then selling them to the voyage crew or visitors to make some money for our new engine fund. I wonder how many hats I would have to produce/sell to double the amount we have raised so far. Thankfully the ship has been able to cover the cost of the new engine even though we haven’t hit the fundraising target (or are even close!) and the ship is now back in Weymouth as of this morning and the rush is on to get her habitable by Monday. I am off to join in the fun tomorrow.